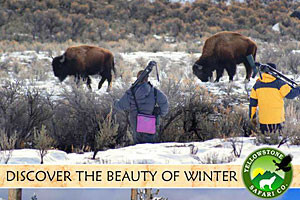 Yellowstone National Park is a place of awesome beauty and wild animals! In the early afternoon on June 25th, 2010 my family was returning from a short hike to see the Fairy Falls. They were ahead of me on the trail because I stayed behind to take some pictures of Grand Prismatic Pool. As I walked around a bend to catch up to them, I saw my wife and kids walking swiftly past three bison about 30 feet to the right of the trail. Immediately I thought they were too close and I stopped to keep a watchful eye on them and the grazing bison. They quickly passed the seemingly docile and non-interested bison. Once safely past, I was relieved but kept watching intently as another family remained on the trail near the bison. I was too far to yell at them to move and I didn't want to startle the bison either, so I kept watching the bison munching on the green grass and the family taking pictures of them. They were less than 20 feet from the three bison. I continued to keep a safe distance thinking these people were crazy to be so close and hoping I would not be witness to something horrible. I took a few more pictures as the bison came even closer. It was in this moment that I saw the largest bison charge forward. 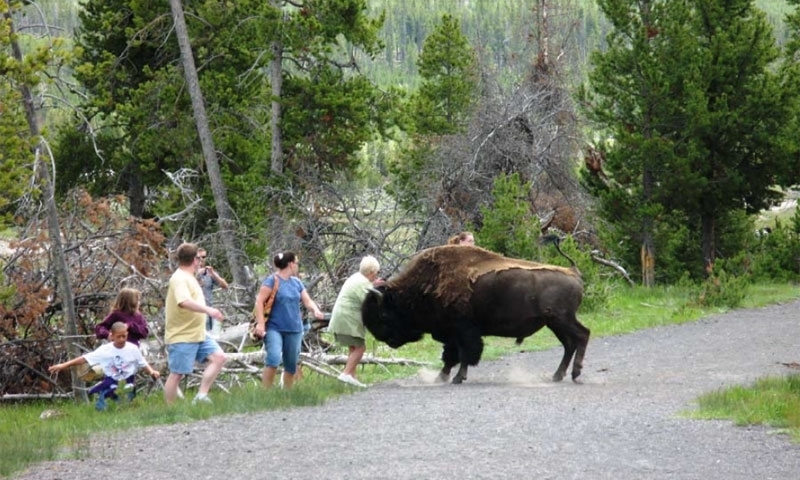 In a flash of an eye the bison bolted across the trail and rammed a woman straight on! I took a picture just as she was getting hit. She was instantly thrown backward onto some fallen trees and did not move. The bison remained directly above her, the dust from it's stomping hooves still in the air. It did not move either. I was stunned and not sure what to do next. The woman was on her back and motionless. Some children from the family, having run towards my direction, were crying and saying that their “grandmother had been killed”. We didn't know if she was seriously hurt or just stunned and trying to stay still in fear of another attack. All eyes were on the bison that had just rammed her. He stood above her just a few feet away and looking back and forth as if wondering what to do next. Two men who were with the family stayed close to the woman to make sure she was OK. The other two bison, now even closer, lifted their heads and also watched the standoff. We all stood there watching, waiting and wondering what the bison would do next. After about 10 minutes the large bison moved away and laid down on the opposite side of the trail, about 30 feet away, but still watching the woman and her companions. The other two bison proceeded to move closer to the woman as if to inspect the situation for themselves. Finally the woman signaled that she was ok and the men came closer to protect her and provide support. It was a tense situation for everyone, bison included. All three bison remained blocking the trail as more people arrived and could not pass. Eventually, the woman rose to her feet, and with some assistance, was able to walk back around and further up the trail and out sight from the bison. I also hiked around the bison and circled back to find the shaken woman. I checked to make sure she was ok- which, thankfully, she was. She had a torn shirt as a reminder of her close call with the wild bison, probably a few bruises and scary story to tell for years to come. We heard that someone had called the rangers and were on their way. Back at our car, I hugged my wife and kids and shared the tragic event with my family. They knew something had happened, but thankfully did not witness it. All I could think of was how happy I was that my family was safe, and the woman or her family had not been seriously injured. It was a close call and a lesson we would all take home with us. When the rangers arrived, I told them about the pictures I had taken and was able to download them onto a flash drive for them. To my surprise they were thrilled that I had taken a picture of the actual "ramming". They said it was “one in a million” and would help remind people of the inherent dangers of wild animals that live in Yellowstone. The next day, after stopping by the Old Faithful Ranger Station to submit my written statement and collect my flash drive, the picture of “The Ramming” was blown up to 8.5x11 and posted on the bulletin board for public display. The ranger told us how lucky the woman was because these three bison were not part of a herd and can be more aggressive. The ranger also said that in most cases the bison will also stomp on you if they knock you down or worse- gore you with their horns. I read later that on average 5 people are attacked annually by wild animals in the Yellowstone region. In fact, just two weeks prior to our visit, a man was killed by a grizzly bear. The bear was later euthanized because it was determined to be too dangerous to humans. Hopefully this story finds its way to those of you planning a trip Yellowstone or any of our great National Parks. People should remember that we are the guests in these amazing natural places and the animals are still very wild and unpredictable…follow the Park rules, use common sense and you will have a wonderful time. 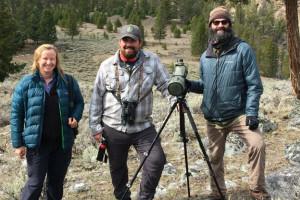 About the Author: Keith McCoy and his family were on a vacation touring several National Parks including Craters of the Moon, Yellowstone, Mesa Verde, Grand Canyon and Zion. "All were spectacular and we can't wait to visit more!"